Today’s post is on TTouch, a type of very light bodywork that helps animals with all kinds of problems, both physical and psychological. 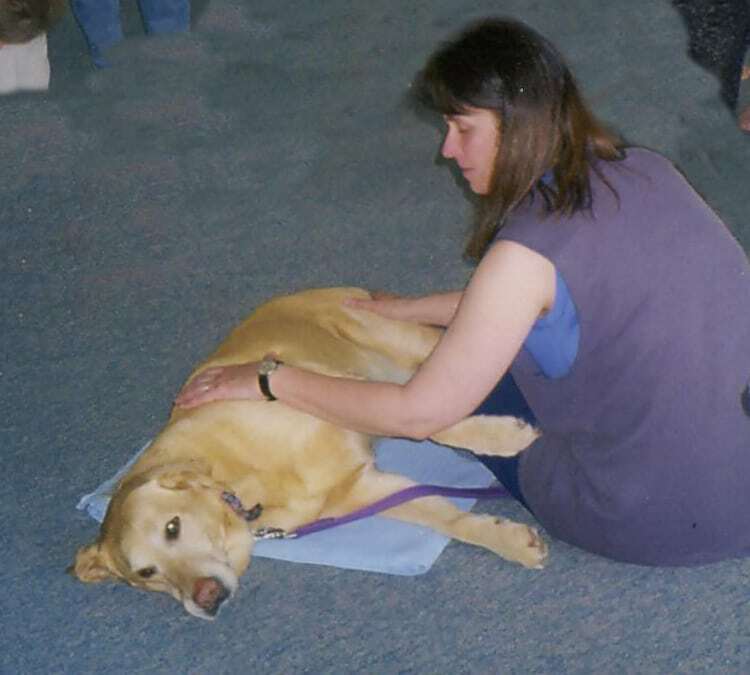 I took a weekend workshop in TTouch for dogs at Bancroft School of Massage a few years ago (with Leea, who is our featured practitioner today), and I was really amazed at the effect it had on all the animals in the class. While I was still working as an animal massage therapist, I used these techniques many times on fearful dogs that did not want me to do a “proper” massage, and it calmed them down immediately. I heard more than once from owners things like “oh wow, he/she usually never lets a stranger get that close.” TTouch definitely works. Tellington TTouch consists of light, non-invasive bodywork – circular, sliding and lifting strokes – guided movement exercises, and unique tools including the bodywrap and the Confidence Course. TTouch is a positive approach to training that affects the body’s nervous system, resulting in increased awareness and range of motion, tension and pain reduction, and a repatterning of habitual ways of holding the body – all of which can have a profound effect on behavior and wellness. TTouch exercises improve an animal’s confidence, balance and focus, relieve stress and fear, and allow an animal to think before reacting, thus breaking the cycle of repetitive behavior patterns. TTouch is an effective way for pet owners and professionals to quickly build trust and deepen their relationship with their companions while solving challenging or frustrating problems. Issues related to aging… and much more. Workshops and private consultations led by Certified Practitioners are available world-wide for anyone wishing to learn the basic TTouch methodology. Certification training programs are offered annually to become a Certified Tellington TTouch Practitioner. There are branches of the Tellington TTouch work for horses, companion animals and humans. 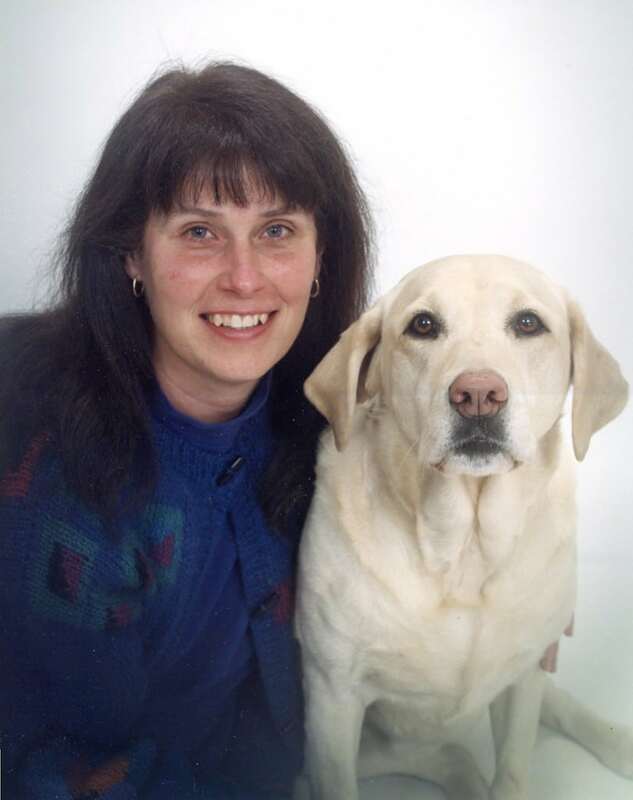 Today’s featured practitioner is Leea Foran, Certified Professional Dog Trainer (CPDT), Certified Dog Behavior Consultant (CDBC), Certified Tellington TTouch Practitioner, Reiki Practitioner, a Canine Good Citizen Evaluator with the American Kennel Club, and an American Red Cross Pet First Aid Instructor. 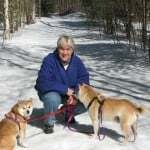 Leea is the founder and owner of Foranimals in Lenox, MA, where she practices Reiki and TTouch and holds group and private classes in behavior, obedience, agility, pet first aid and TTouch. She also offers TTouch classes in other locations; upcoming events include May 2 at Bancroft in Worcester, MA and June 6 at the Monadnock Humane Society in West Swanzey, NH (for more, see the Classes & Workshops listings and Leea’s website). “I always intended to work with animals. As a child I found and mended stray animals routinely and I went to the Bronx Zoo every week and dreamed about becoming a zoo veterinarian. I got my BS in Zoology/Animal Behavior and was planning to attend vet school when life took me in an altogether different direction and I spent the next 20 years as a resident staff-founding member of Kripalu Center for Yoga and Health. 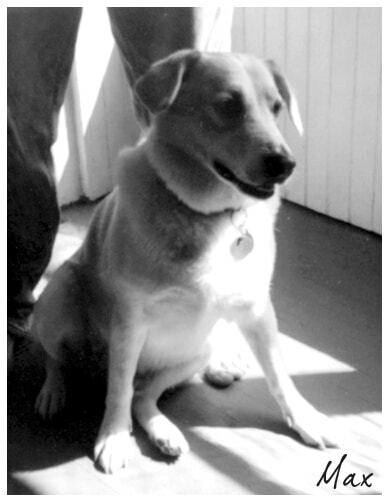 Although there were no pets at Kripalu, I was never without a cat, dog, bird or some wild creature. My years at Kripalu taught me patience, compassion, a holistic view of life, and skillfulness in working with people, very necessary components for supporting animal guardians in their process with their dogs and cats. In the 14 years I have been using the Tellington TTouch in my work with dogs and cats, I never cease to marvel at what a profound impact it can have on changing, and in some cases saving lives. Several years ago I got a call from Bob about his 5 year old Beagle mix, Max. Bob was at his wits end trying to help Max overcome his separation anxiety and fears of loud noises and car travel. Max’s anxiety at home was getting worse – house soiling; tearing up carpets, doors, clothing; pacing and heavy panting – very distressed much of the time, especially when Bob had to be out of the house or when he had to take Max somewhere. Bob was not exaggerating. On my first home visit, I quickly saw the damage and the distress – shredded carpets, woodwork and cabinets gouged out from hours of clawing and chewing, and a man and dog who clearly loved each other but had a problem bigger than they could resolve. Bob found me thanks to his veterinarian. He had already tried months of drug therapy with no improvement, so sadly he had taken Max in to be euthanized, believing this to be the kindest solution he had to offer the suffering dog. His doctor knew me and was familiar with TTouch and recommended Bob call to see if anything I did might improve the dog’s condition. Over the next 3 months I met with Bob and Max every 2 weeks in their home. In the first session I introduced them to the Bodywrap – a great TTouch tool that helps reduce anxiety and stress -along with several circular and sliding strokes. We also discussed the importance of reducing Bob’s anxiety as he anticipated leaving the house. (He actually did a little TTouch on himself each morning after working on Max.) Combining the TTouch with some behavior modification exercises, Max showed improvement in the first 2 weeks. Bob had unsuccessfully done the same behavior modification exercises alone or in combination with drug therapy before meeting me, but now with the addition of the daily TTouch grounding/balancing exercises, bodywraps and bodywork, the process was working. By our fifth session Max was relaxed and calm when Bob left the house and there was no more destruction or house soiling. When there was an occasional resurfacing of the old behavior, Bob could easily pin point what change had triggered the behavior and make adjustments. Although we had not directly worked with Max’s other issues, Bob reported that he had used the bodywrap in the car and Max barked and panted much less when wearing it and he was less fearful of strangers they passed on their walks. Does TTouch “cure” separation anxiety? No, but in this case I believe the work allowed Max and Bob to relax and rebalance enough for a shift in thinking and learning to happen and new choices to be made, free of the chronic fear and behavior patterns. 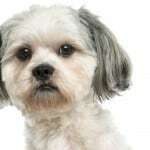 Max got a second chance and lived happily with Bob for the remaining 4 years of his life. 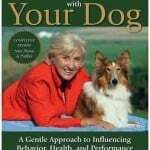 Read my review of Getting In TTouch With Your Dog.